In the 1960s, America set out to end poverty. Policy-makers put forth an unprecedented package of legislation, funding poverty programs and empowering the poor through ineffectual employment-related education and training. However, these handouts produced little change, and efforts to provide education and job-training proved inconsequential, boasting only a 2.8 percent decrease in the poverty rate since 1965. Decades after the War on Poverty began, many of its programs failed. Only one thing really worked to help end poverty-and that was work itself, the centerpiece of welfare reform in 1996. Poor No More is a plan to restructure poverty programs, prioritizing jobs above all else. Traditionally, job placement programs stemmed from non-profit organizations or government agencies. However, America Works, the first for-profit job placement venture founded by Peter Cove, has the highest employee retention rate in the greater New York City area, even above these traditional agencies. When the federal government embraced the work-first ideal, inspired by the success of America Works, welfare rolls plummeted from 12.6 million to 4.7 million nationally within one decade. 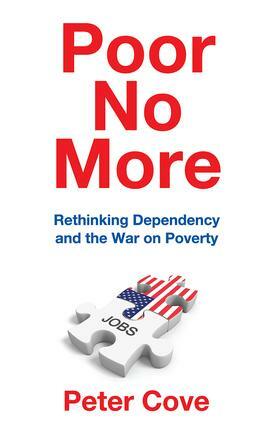 Poor No More is a paradigm-shifting work that guides the reader through the evolution of America's War on Poverty and urges policy-makers to eliminate training and education programs that waste time and money and to adopt a work-first model, while providing job-seekers with the tools and life lessons essential to finding and maintaining employment. Why Have We Become a Nation of Takers?